Los Angeles, Feb 16 (PTI) The Academy of Motion Picture Art & Sciences has announced a roll back of its decision to present four categories of Oscars during the commercial breaks. In its attempt to keep the live telecast under three hours, the Academy had decided to present four categories -- cinematography, film editing, live action shorts and makeup and hairstyling -- during commercial breaks with the winners' speeches set to air later in the broadcast. Oscars 2019 Best Supporting Actress Winner Predictions: From Emma Stone, Marina De Tavira to Amy Adams, Who Will Win The Trophy at 91st Academy Awards. The news had to led to a huge controversy with many Hollywood A-listers such as George Clooney, Brad Pitt and Christopher Nolan, among others, urging the Academy to reverse its decision. Oscars 2019: Roma, Black Panther and Other Films That Received Multiple Nominations. 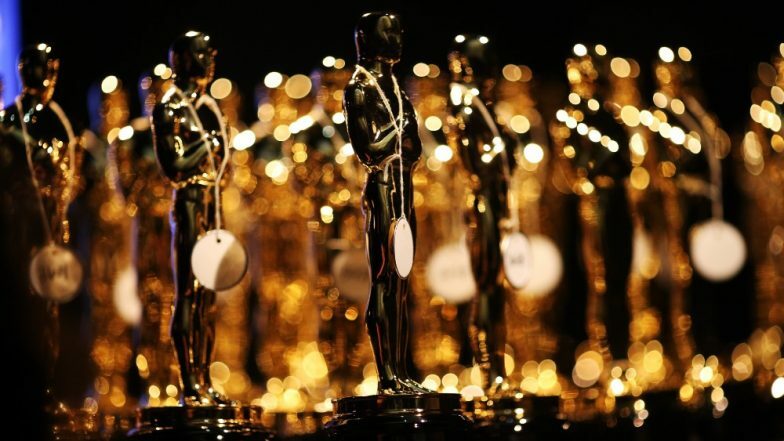 In a brief statement on Friday, the Academy's Board of Governors said, "The Academy has heard the feedback from its membership regarding the Oscar presentation of four awards - Cinematography, Film Editing, Live Action Short, and Makeup and Hairstyling." Bradley Cooper For A Star is Born, Damien Chazelle For First Man, Emily Blunt For Marry Poppins Returns - All The Academy Awards 2019 Snubs!. "All Academy Awards will be presented without edits, in our traditional format. We look forward to Oscar Sunday, February 24," it added. Earlier, the American Society of Cinematographers had sent a letter to the Academy urging a roll back of its decision. The letter was signed by directors Michael Mann, Alejandro G Inarritu, Guillermo del Toro, Denis Villeneuve and actors such as Brad Pitt, Robert DeNiro, Elizabeth Banks, Peter Dinklage and Kerry Washington. del Toro and his Mexican counterpart, Alfonso Cuaron were among the first to criticise the Academy's decision on Twitter.